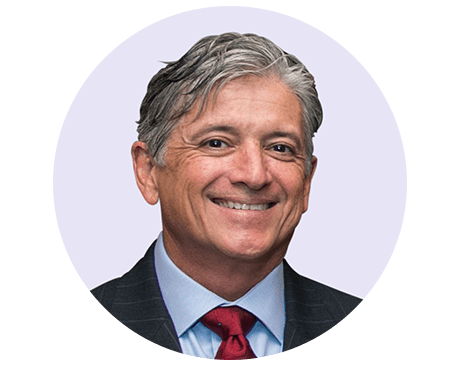 As one of South Louisiana’s top otolaryngologists, James Vance Broussard, MD is also known for his expertise in head and neck surgery. Dr. Broussard cares for both pediatric and adult patients at Southern ENT Associates located in Thibodaux and Houma. After completing his undergraduate studies at Nicholls State University in Thibodaux, Louisiana, Dr. Broussard earned his medical degree from the Louisiana State University Medical School in New Orleans. Because he excelled throughout his medical training, Dr. Broussard was granted membership in the Alpha Omega Alpha Honor Medical Society. Dr. Broussard went through his required training in otolaryngology at the Louisiana State University Medical Center. He’s currently board-certified in otolaryngology and head and neck surgery. Plus, in New Orleans Magazine’s biannual survey in 2004, Dr. Broussard was chosen as one of just twelve of the city’s best doctors in Otolaryngology. With a comprehensive background in caring for patients, Dr. Broussard is the go-to practitioner for the most complex of conditions. He served on the medical executive committee and also held the chief-of-staff position at Thibodaux Regional Medical Center. As a founding member of Physicians Surgical Specialty Hospital in Houma, Dr. Broussard has helped countless patients throughout Southern Louisiana. While Dr. Broussard can diagnose and treat all conditions of the ear, nose, and throat, he has a particular interest in sinus disease and pediatric otolaryngology. He serves children by volunteering at the Children’s Special Services Otology Clinic and leads Cub Scout Pack 330 as their Cubmaster. Dr. Broussard is currently accepting new patients and welcomes them to the clinic.